Volkswagen plans to phase out the e-Golf as the automaker continues work on its 8th Generation Golf. The reason for the phaseout is VW's new I.D. electric family. The three-model lineup will have a fully electric hatchback, taking the space used the e-Golf. VW execs say there's no need for two hatchbacks in the same segment. In the last day or two, we have come across lots of information on the upcoming 8th Generation Golf, due to hit showrooms in the late part of 2019. The e-Golf is slated to disappear from the lineup. According to VW execs, the sun is setting on the e-Golf, and its space is being taken by the I.D. series hatchback, due out in 2019. VW unveils first look at 2019 8th Gen Golf The rest of the series consists of the I.D. Buzz, an MPV that looks a lot like the old Microbus and the I.D. Crozz SUV. Golf is Europe’s best-seller. It is a central model for VW. Golf will start production at the end of next year. 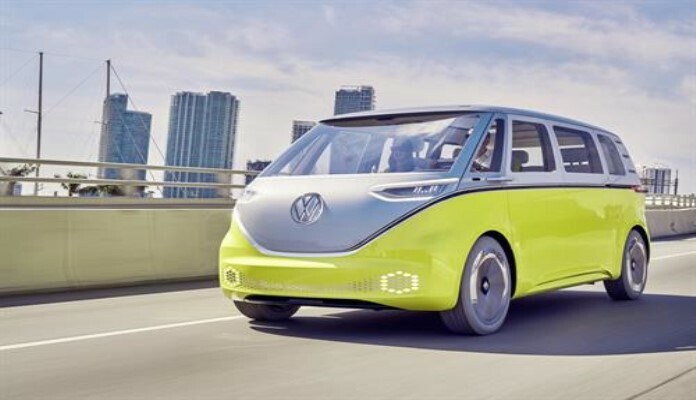 VW, fostering a bit of internal competition, plans to begin production of the electric I.D. hatchback at the same time. The battery-powered I.D. family – a hatchback, SUV and a people-mover – is the automaker’s major push into electric vehicle territory. The I.D. hatchback is st to have a price comparable to the Golf diesel. Though it may seem that Golf will be taking a back seat to the upcoming I.D. family – I.D. hatchback, I.D. Buzz (MPV), and I.D. Crozz (SUV) – that’s not the case says VW purchasing chief Ralf Brandstaetter. Strategically, Golf is VW’s key brand “next to the I.D. family,” Brandstaetter said. Indeed, the new Golf is at a decisive phase right now as fully 80 percent of its parts suppliers have signed on to provide parts to Wolfsburg for Golf production. Golf production continues at Wolfsburg where every day 2,000 copies of the Golf roll off the assembly line. Plans call for making the 8th Generation Golf at Wolfsburg. Golf began its vital role in Volkswagen planning more than 45 years ago. At that time, the hatchback had a different name, VW Rabbit. However, its name changed in the late 1970s to Golf. To date, Golf has rung up sales of 34 million. As noted, Golf is an essential vehicle for VW. In 2017, Golf accounted for one-third of the VW brand’s European volume. Though sales were off two percent for the year, VW still built 444,226 Golfs in Europe. Golf was the top-selling compact in Europe easily passing Renault’s subcompact Clio, the number two seller, by more than 140,000 models. Golf accounted for fully 33 percent of VW’s volume. Is there, or will there be a 2018 E-Golf, and if so its availability?